Bottlecap mural by Alliance High School art students under the direction of Erin Wozniak, made from bottlecaps donated by the community at the Alliance Farmers Market, and displayed at Rodman Public Library - now on display at the YMCA. 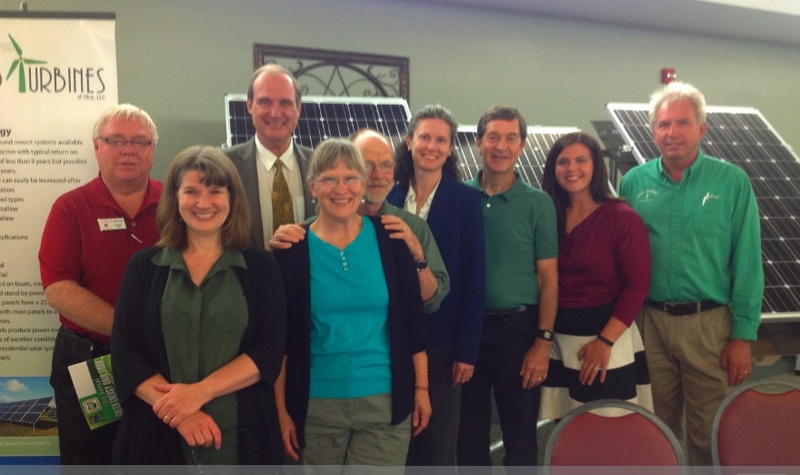 Green Alliance is a non-profit 501 (c)(3) made up of a coalition of people in the Greater Alliance Area who have come together to help Alliance plan a sustainable environment for all of us now and for our children in the decades ahead. Our mission is to develop recommendations and strategies to fulfill the U. S. Mayors’ Climate Protection Agreement with the City of Alliance, and to establish partnerships with various entities of government, education, business, industry and among citizens to educate and empower the greater Alliance community with the goal of developing as an environmentally, socially and economically sustainable community. According to this statement, our mission takes on not only the consequences of global warming but also the wider challenge of building a “sustainable community.” A widely used and helpful definition of “sustainability” is the one developed by the Brundtland Commission: sustainable development is development that “meets the needs of the present without compromising the ability of future generations to meet their own needs. We welcome anyone in the Greater Alliance Community to join with us in our work. Below, find information about our organization and a list of easily accessible web sites for further information on building a sustainable future. Daniel Goleman on "Ecological Intelligence"
Recycling questions? Click here! for info from the Tri-County Waste District. We will discuss ways we can actively raise awareness about the importance of addressing climate change and living in a sustainable manner that will preserve a livable planet for future generations. If you are interested in helping us plan future events, please contact us - we welcome help and new ideas! Be sure to also visit the Green Commission's page on the City of Alliance's website, to see the City's current Sustainability Plan. Come to Rodman Library for family- friendly crafts and acitivities, and for information from all of our local parks - hiking & biking trail maps, info on nature centers, preserves, recreation, and more! Natural Gas vs. Oil: The Future of Transportation? Environmental Science students at the University of Mount Union explored many factors related to the use of compressed natural gas as an alternative transportation fuel. 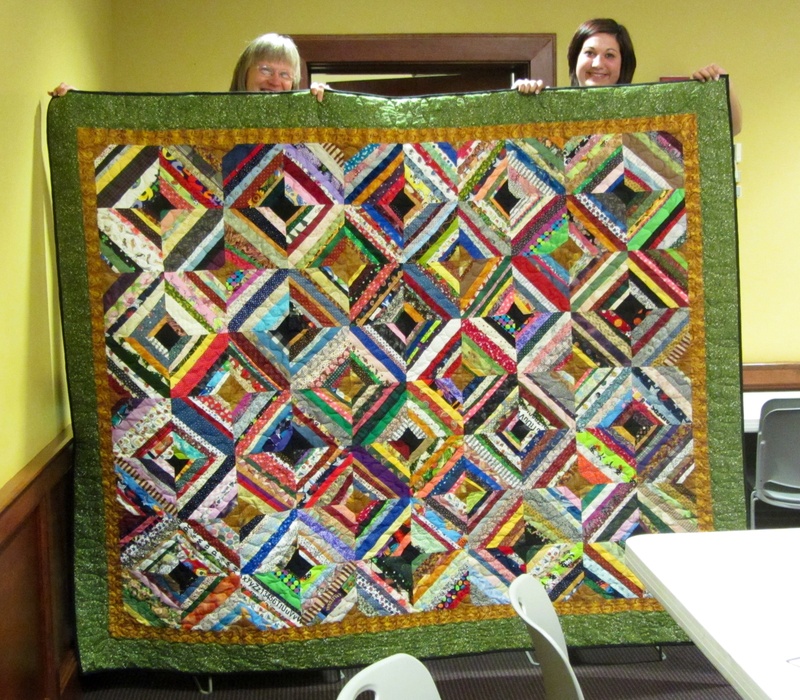 Hand-made Queen-size quilt to be raffled - proceeds to be used for community gardens, bike racks, and other sustainable Alliance projects. "The Greenest Building is the One Already Built: Historic Preservation in Alliance"
"Aquaponics" Lance Schmidt is the director of the NeoHaus institute (www.TheNeoHaus.com) and is currently designing and building Aquaponic systems in the Akron Canton area to grow plants all year round with aquaponics. Aquaponics is like hydroponics except that fish is grown and then the fish water is pumped into gravel "grow beds" to supply nutrients and water for the plants. The plants grow faster and bigger in this type of system. The great part is it is totally organic and is totally sustainable.